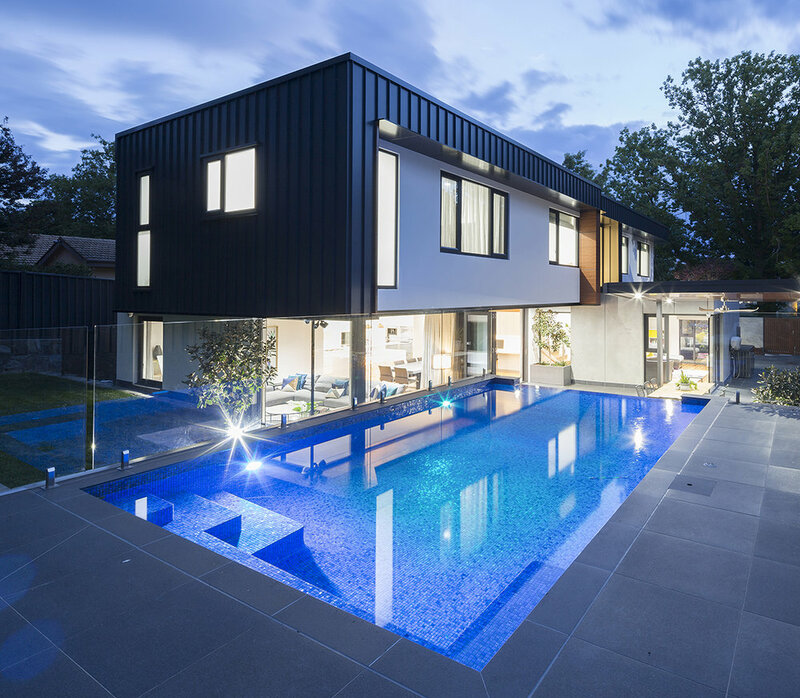 A new home for a young family on a relatively small site in Deakin maximises solar orientation to every living room and bedroom. 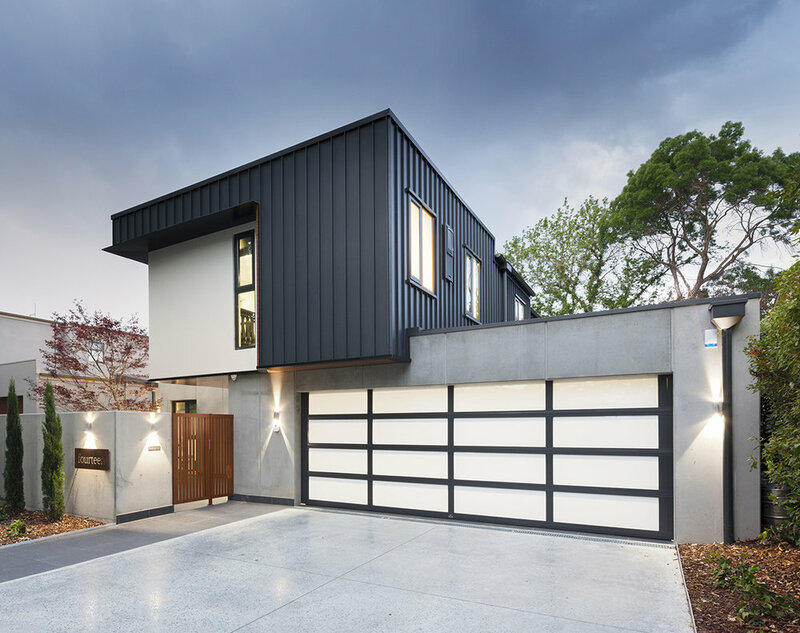 The home's highly expressive facade is a composition of concrete, steel cladding and timber. 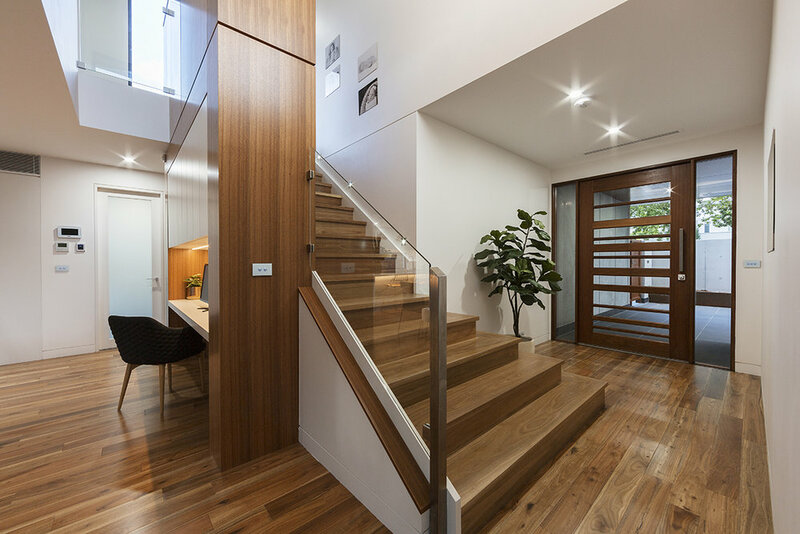 The entrance is through a secure front courtyard to reveal a double height space and leads to the expansive living, dining and kitchen. North facing bi-fold doors from the living room open onto the covered terrace and lap pool with a waterfall edge. All bedrooms are located upstairs via a highly detailed stair, with every bedroom overlooking the garden and pool. Located at the east end is the private master bedroom, walk through robe and ensuite. Upstairs includes a further three bedrooms including a second ensuite and main bathroom. We haven't stopped getting compliments on our home and we are enjoying the home to its full potential with our family. We enjoyed the ease of you being able to take control of the architecture of the property we purchased. We chose you based on your creditably from other clients and referrals. As soon as we saw the work that you had put in, we couldn’t be more happy with the designs that you had chosen, it was perfect for the block that we purchased in the Inner South. The experience of working with Steven was stress free, simple and straight to the point. We didn’t have to follow you up, you were proactive and we couldn’t appreciate that more with a short time frame build. You also took on-board everything we wanted which resulted in a quick turn around and approval of plans. Steven produced a high-quality product, and we couldn’t be more happy with the house we got. It was exactly as the brief we provided, and you were more than happy to answer any questions anytime we had. Steven was responsive and detailed in his responses. We would happily recommend you to other clients.